September is a huge month in terms of robo-advisor changes and announcements. Some of the most well-known robos are offering new and innovative services, winning awards, and acquiring new investments—all with the investor’s experience and needs in mind. Even stalwart JP Morgan launched an investment app. 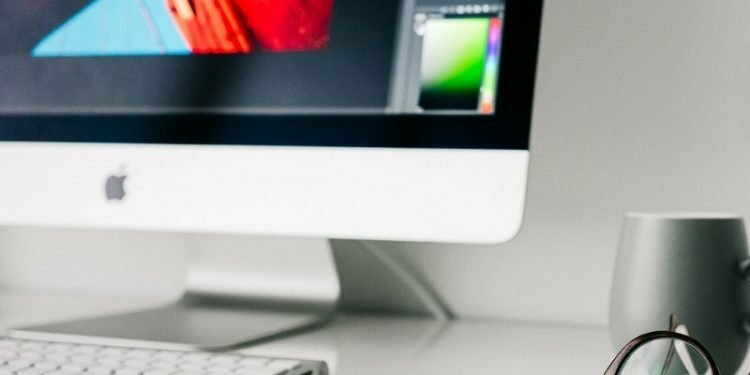 This month robo-advisor news brings an exciting announcement from Betterment, a robo-advisor we talk about frequently here at Robo-Advisor Pros. In order to provide even better service to their customers, Betterment is making it possible for investors to purchase consultations with their certified financial planners. Prices range from $149-$399 depending on the length of the initial phone call, additional resources or advice provided, and number of follow-up contact points you need. These packages are tailored toward different financial milestones, such as marriage, college, and retirement to name a few. This is particularly exciting for would-be investors who worry that a robo-advisor doesn’t provide enough human interaction to help them get started investing. While you can look at investing with an actively-managed robo-advisor to get the best of both worlds, Betterment’s new features may have just the right amount of human input to complement their already strong robo features. Three of the robo-advisors we’re covering in our news this month scored the top three spots in “The Robo Report,” according to Financial Advisor IQ. Vanguard comes in first, followed closely by Betterment and SigFig. While we have to wonder whether Betterment’s new consulting service will push it up higher in the next Robo Report, SigFig is also gaining traction by acquiring SmartWealth, a robo-advisor recently sold by UBS. These aren’t the only robo-advisors making a splash on the robo scene, though. TD Ameritrade has recently increased its investing impact by adding Socially Aware portfolios—portfolio options that keep in mind factors related to the government, environment, or social lives of their investors. These new portfolios help investors do good and build wealth at the same time! A new robo-advisor is set to expand, too. Customers of Lutheran Federal Credit Union are now getting access to their own robo-advisor. The Digital Advisor is a new feature designed to ensure LutheranFCU customers have access to the same cutting edge technology other customers of bigger banks may take for granted. Speaking of bigger banks, JP Morgan is about to launch an investing app which will soon be available to their 47 million existing customers. This move, similar to the move by Lutheran FCU, is designed to give existing bank customers a convenient way to invest through an institution they are already familiar with. All of these changes and new robo-advisors are only adding to the prevalence of algorithm-supported investing options available today. 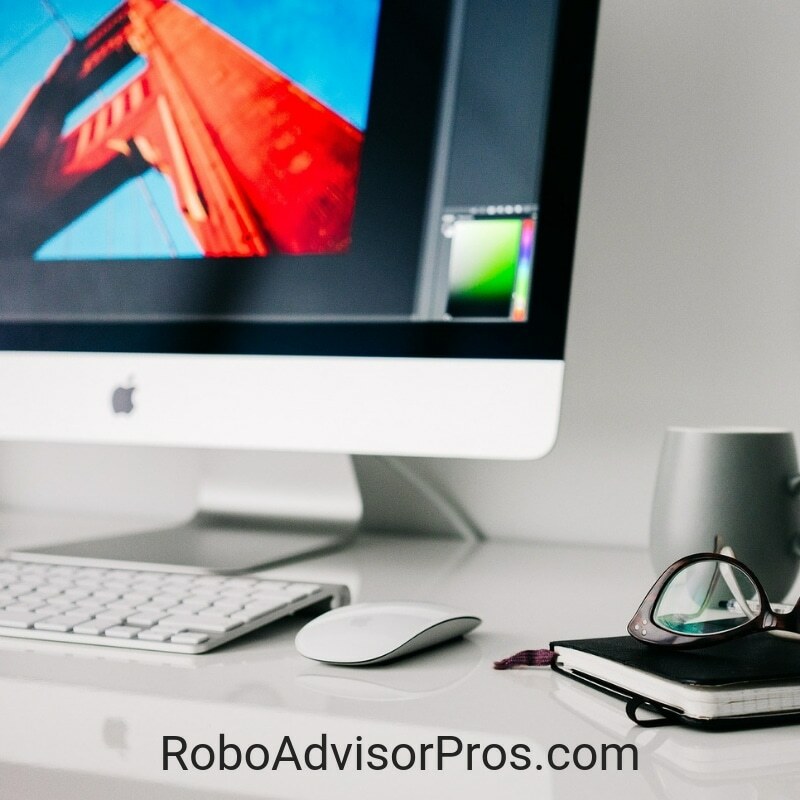 Robo-advisors are here to stay for the foreseeable future, and companies need to continue adding value to the services they provide customers if they want to stay relevant in a competitive market. “Our advice packages pair you with a CERTIFIED FINANCIAL PLANNER™ or licensed financial expert who will provide guidance and a personalized action plan to help you achieve your financial goals. As a fiduciary, we act in your best interests. “The technology is now being sold to SigFig, which UBS invested in in 2016 as part of a wider partnership which saw the two create a joint advisor technology research and innovation lab, where UBS financial advisors, product experts and technologists could work with SigFig’s digital experts. “Vanguard’s Personal Advisor Services isn’t just the biggest robo-advisor service in the world, with $110 billion in assets, FA magazine writes — it’s also the best, according to a recent report from Backend Benchmarking cited by the publication. The rankings by the publishers of ‘The Robo Report’ incorporated 45 metrics to assess 10 robo-advisors, including performance as measured by Sharpe ratio combined with returns relative to a normalized benchmark index, cost and qualitative aspects such as the platform’s tenure and its features, FA magazine writes. “TD Ameritrade robo-advisor says it is rolling out five ETF portfolios for robo-advisor clients with exposure to environmental, social and governance (ESG) factors. The Socially Aware portfolios are available to those using the firm’s Essential Portfolios platform and offer different risk preferences and investing goals. “Lutheran Federal Credit Union (LutheranFCU), a credit union serving the greater Lutheran Church-Missouri Synod community, and Polaris Portfolios, a digital wealth management firm, are excited to introduce Polaris Digital Advisor to members of LutheranFCU. 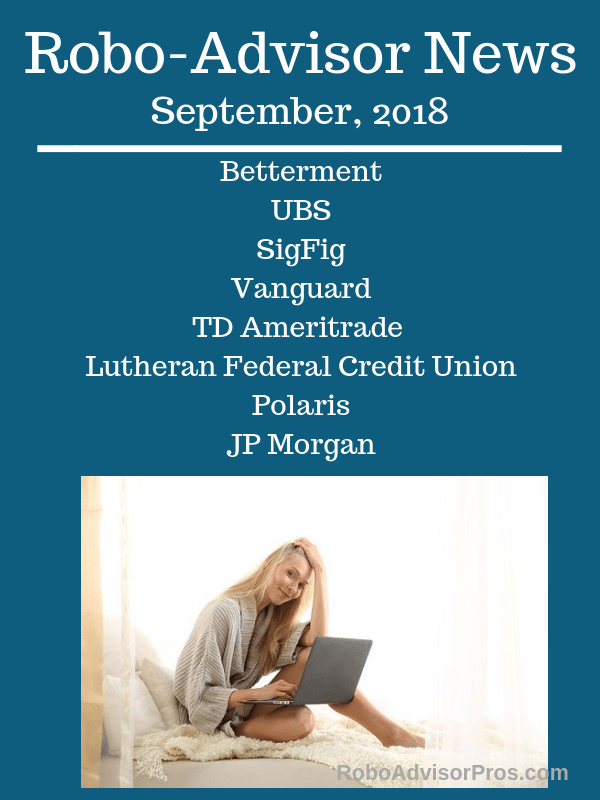 With Polaris Digital Advisor, members of LutheranFCU can open an advised investment account directly from their computer, phone, or any mobile device. “J.P. Morgan Chase is about to lob a grenade into the increasingly competitive world of retail investing. The bank is rolling out a digital investing service next week that comes bundled with free or discounted trades, a sophisticated portfolio-building tool and no-fee access to the bank’s stock research. Anyone who downloads J.P. Morgan’s mobile banking app or uses its website can get at least 100 free trades in the first year. “Competition in the robo advisor industry is good for investors but bad for advisors who can’t adapt. The robo advisor industry is rife with new entrants but the loss of others, begging the question: Are there too many robo advisors? Several robo advisors recently closed their doors, such as Hedgeable, which had been around for over eight years. WorthFM was a women-focused platform that didn’t make it. These two closures fall on the heels of the recent demise of digital financial planning startup LearnVest, just three years after it was acquired by Northwestern Mutual for $250 million. Despite such closures, experts believe robo advisors are here to stay. There might not be an over-abundance of robo advisors, but there could be the wrong mix of digital advisors to suit the market. Do Any Robo-Advisors Focus on Downside Risk Protection? What are the 7 Main Differences Between Robo-Advisors?